Which meant 2014’s Age of Extinction relaunched the series with some new characters. In the aftermath of the battles seen in Moon, we learn that the good aliens called “Autobots” have been deemed a threat and have gone into hiding. 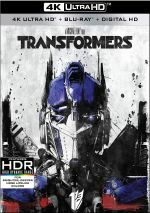 Government agent Harold Attinger (Kelsey Grammer) hunts the remaining Autobots with the desire to destroy them – and replace then with special engineered robots who’ll follow his agenda. As noted at the start, Extinction breaks from the series of Transformers films that Bay made from 2007 through 2011, but it doesn’t mean that no continuity exists. Extinction refers to events in the prior movies even though it loses all the humans from those efforts. Which sounds like a good thing, as Sam Witwicky and company wore out their welcome. A change of heroes and villains feels like a positive attempt to spice up the series and give it new twists. But not too many new twists, as even with a focus on different protagonists and antagonists, it becomes tough to find much about Extinction that separates it from its predecessors. Indeed, even the seeming positive of the change in characters doesn’t necessarily come as a benefit to Extinction. I think the producers of Extinction could’ve come up with new characters who seem more interesting than Cade and the rest. It’s perplexing that although the film posits Cade as a Texan, Wahlberg doesn’t attempt an accent. I suppose this is a good thing, as Mark’s acting skills probably don’t lend themselves toward the Streep side of the street. Wahlberg has enough trouble creating a mildly interesting performance without the added challenge of a Texas drawl. I like Mark as a personality, but he can’t create life in a movie on his own, and he leaves a hole at the core of the story. None of the other actors manage to do much to bring vivacity to the tale. Actually, as a Steve Jobs-like tech visionary, Stanley Tucci contributes a bit of verve, and he enjoys some moderately amusing interactions with a long-suffering subordinate played by James Bachman. The other humans appear less compelling. As our new black ops baddie, Grammer falls flat. Even though he should be able to pull off roles like this but he appears disinterested and invests little in the role. Part of the problem – a lot of it, really – comes from the movie’s length. 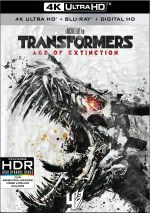 At 165 minutes, Extinction becomes the longest of the Transformers movies, and by more than 10 minutes compared to any of its predecessors. The earlier films already dragged, so the extra minutes here don’t come as a good thing, especially since the filmmakers seem to devote much of the extra time to human-related elements. As I noted, the people on display in Extinction appear more boring than ever, so more time with dull personalities equals a real negative. The extended length becomes more perplexing to me because Extinction provides a less complicated plot than its predecessors. Those maintained a broader variety of characters and situations, while Extinction feels simple. Perhaps those behind it thought we needed the added minutes to set up the new characters, but the 143-minute 2007 film managed a whole lot more exposition in less time, so the decision to push Extinction perilously close to three hours doesn’t make much sense to me. On the positive side, Extinction continues the series’ dedication to top-notch visuals, and its effects look better than ever. Also, Bay couldn’t stage a truly dull film if he tried, so while his reliance on style over substance can be wearying, I must acknowledge the man knows how to create a vibrant visual piece. Bay doesn’t totally avoid that sort of material in Extinction, but he minimizes it compared to his other works. This means one embarrassing scene with a sassy black realtor – Bay can’t get enough of this sort of character – but much of the rest of the film stays dramatic or integrates its humor in a more natural manner ala the interactions between the Tucci and Bachman parts. The lessened role of cheap gags allows the movie to deliver a better visceral punch. All of this leaves Extinction as a mediocre launch for a second Transformers trilogy. Even with a bunch of new characters, it remains similar to its predecessors and does nothing to improve the existing (flawed) model. I can’t say I dislike the film, but it doesn’t make me a fan of the franchise – as much as I want to enjoy these movies, they’re too inconsistent. 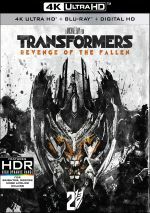 Transformers: Age of Extinction appears in an aspect ratio of approximately 2.40:1 on this 4K UHD Disc. The best-looking of the first four Transformers movies, this became a stellar presentation. If you’ve seen prior Bay films, you’ll know what to expect from this one’s palette. As usual, teal and orange dominated, and while that trend was predictable, I couldn’t complain about the replication, as the hues looked strong within their stylistic constraints. The HDR made the colors pop in ways not seen during prior incarnations. Blacks came across as dark and tight, and shadows appeared smooth and easily discernible. Sharpness worked well, as nary a sliver of softness emerged. This meant terrific clarity and definition from start to finish. No signs of jagged edges or shimmering occurred, and I saw no edge haloes. Print flaws also failed to materialize. Pure eye candy, the 4K UHD delivered outstanding visuals. As I expect from a Transformers movie, we got an excellent Dolby Atmos mix with Extinction. Downconverted to Dolby TrueHD 7.1, the soundfield presented an active and lively piece that constantly engaged the various speakers. The film showed distinctive imagery throughout the movie that placed different auditory elements accurately within the spectrum and meshed them together nicely. How did the 4K UHD compare to the Blu-ray version? Audio remais identical, as both sets provide the same Dolby Atmos mix. Visuals create a more complex issue – at least for folks who enjoy 3D capabilities. If you’re 2D-only, then the 4K unquestionably works better, as it boasts superior definition, contrast, blacks and colors. As good as the Blu-ray looks, the 4K tops it. Matters complicate when I compare the 4K with the 3D edition, though. Of course, the 4K offers superior visuals, but the 3D compensates with other strengths. Of course, the 3D imaging offers a boost, but that edition also boasts alternating aspect ratios much of the time. Extinction uses digital IMAX cameras much of the time, and those shots expand to 1.90:1 on the 3D image. That doesn’t occur for the 2D, though. The alternating aspect ratios was enough to tip the scales toward the 3D for Guardians of the Galaxy Vol. 2, but I’m less enthusiastic here, mainly because director Michael Bay utilizes the 1.90:1 ratio so inconsistently. Read my earlier review for more details, but the shifts from 2.40:1 to 1.90:1 seem nearly random, a factor that mitigates their effectiveness. Because of that, I think I prefer the 4K UHD to the 3D. Even in the film’s Blu-ray incarnation, I didn’t have a strong preference for the 3D, so given the 4K’s obviously superior picture quality, it becomes the preferred version of Extinction. Although the 4K disc itself includes no extras, the bonus Blu-rays do. Actually, nothing appears on the movie platter, but a second disc adds materials. The main attraction comes from Evolution Within Extinction, a multi-part documentary that runs two hours, two minutes, 50 seconds. 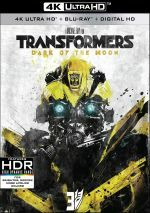 It includes notes from producers Lorenzo di Bonaventura and Ian Bryce, Hasbro VP Transformers Franchise Lead Jay Duke, production designer Jeffrey Beecroft, executive producer/Hasbro CEO Brian Goldner, Paramount Film Group president Adam Goodman, screenwriter Ehren Kruger, director/executive producer Michael Bay, 1st AD/co-producer KC Hodenfeld, art director Benjamin Edelberg, transportation coordinator Randy Peters, paint sign writer Sean Sult, Aria Group Chief Production Manager James Desmond, GM Design show car coordinator Mike Erdodi, transportation captain/driver Joey Freitas, stunt coordinator Mike Gunther, drivers Corey Eubanks and Kyle Woods, supervising location manager JJ Hook, set decorator Rosemary Brandenberg, lead person Jon Bush, robot inventors Steve Norris and Miike Smyth, special effects coordinator Jim Schwalm, visual effects supervisor Scott Farrar, special effects foreperson Craig “Tex” Barnett, special effects technician Richard O. Helmer, co-producer/stunts Michael Kase, unit production manager/co-producer Allegra Clegg, executive producer Mark Vahradian, supervising location manager Ilt Jones, GM Aerodynamics Engineering Group manager Robert Niemiec, supervising art director Mark W. Mansbridge, set designer Rob Johnson, armorer Chuck Rousseau, lead assistant location manager Leann Emmert, special effects supervisor John Frazier, construction coordinator C. Jonas Kirk, art director Sebastian Schroder, lead assistant location manager Manny Padilla, propmaker foreperson Jeff Scott Hall, special effects technician Matt DiSarro, assistant set decorator Kevin Kropp, sound mixer Peter Devlin, 3D rig technician Seth Gallagher, Hong Kong 1st AD Sylvia Liu, location manager Matt Wersinger, ILM visual effects producer Wayne Billheimer, ILM animation supervisor Rick O’Connor, digital supervisor John Hansen, digital artist supervisors Andy Proctor and Michael Balog, composer Steve Jablonsky, musician Dan Reynolds, and actors Mark Wahlberg, Nicola Peltz, Jack Reynor, Kelsey Grammer, Titus Welliver, TJ Miller, Sophia Myles, Stanley Tucci, Li Bingbing, Melanie Specht, Abigail Klein, Victoria Summer, Mark Ryan, Patrick Bristow, Kevin Covais, and Peter Cullen. “Evolution” looks at new characters and Transformer design, story areas and changes from the prior films, cast and performances, various vehicles and stunts, sets, locations, and production design, practical and visual effects, editing, music and audio. With more than two hours at its disposal, I hoped “Evolution” would offer a rich, detailed look at the production. While it does give us plenty of information, it still seems more than a little superficial. There’s simply a promotional veneer that affects the overall impact of the piece. “Evolution” comes with more than enough material to make it worthwhile, but it doesn’t wholly satisfy. A Spark of Design fills 15 minutes, 24 seconds with info from Jay Duke, Brian Goldner, qTransformers Senior Design Director Joshua Lamb, Transformers Design Manager John Warden, Transformers Creative Brand Manager Jonathan Newkirk, Hasbro Model Shop Senior Designer Patrick Marr, CAD modeler Steven Gray, Supervisor RP Design and Engineering Development Peter Baker, senior caster Mike Cody, and model artist Mark Maher. “Spark” looks at aspects of the design and creation of the Transformers toys. If that subject interests you, it turns into a decent piece, but I must admit it feels like a long ad for Hasbro. Under trailers, four ads appear. In addition to two standard trailers for Extinction, we find “KRE-O Transformers: Take Us Through The Movies!” (3:42) and “Angry Birds Transformers: Origin Story” (1:16). Based on the KRE-O toys – and clearly influenced by The LEGO Movie, “Take Us” gives us a run-through of the first three films’ plots; it’s cute and fun. “Birds” emulates the format of the 1980s Transformers TV series to sell the new video game. It also entertains, though it seems less enjoyable than “Take Us”. Going into the fourth film in the franchise, fans know what to expect from Transformers: Age of Extinction. Even with new protagonists, the movie follows the formula established in the first three flicks, and that means we get another sporadically exciting but often tedious experience. The 4K UHD boasts excellent picture and audio along with supplements highlighted by a long – if erratic – documentary. Nothing about Extinction makes me warm up to the franchise, but I can’t complain about the quality of this terrific release.